Cmdr. Glenn Evans, already facing charges in a federal case, allegedly attacked a photographer during NATO protests in 2012. CITY HALL — The city has agreed to pay a $100,000 settlement to a freelance photographer who said he was attacked by a controversial police commander while covering NATO protests in 2012. In a suit filed in federal court, photographer Joshua Lott said he was working for Getty Images covering protests during the NATO summit in Chicago on May 20, 2012, when he started photographing two officers he said were beating a protester at 333 S. Wabash Ave. According to the original complaint, the officers demanded he stop photographing them and, when he persisted, attacked him. Lott charged that he was beaten and that two cameras he was using were "thrown to the ground and destroyed," and that one of the officers deliberately stepped on his glasses. Police Cmdr. Glenn Evans and Mayor Rahm Emanuel at a 2013 media event at the Grand Crossing District station. One of officers was later identified as Cmdr. Glenn Evans, then a lieutenant, who has faced 39 complaints of police misconduct, although 38 of them were found to be "unsustained" by investigators. "Cmdr. Evans was actively involved in the physical abuse of Joshua, as well as what we believe was a cover-up as to what happened to him," said Matthew Robison, one of Lott's attorneys in the case. Evans is now on desk duty, facing charges of aggravated battery and official misconduct for a January 2013 incident in the Grand Crossing District in which he is charged with putting his gun in a suspect's mouth and a Taser to his groin and threatening to kill him. Cook County State's Attorney Anita Alvarez announced those charges against Evans in August 2014, saying that his gun barrel had the suspect's DNA on it. The case was scheduled to go to trial next week. Before that, Evans had proved to be an effective and even popular police commander. 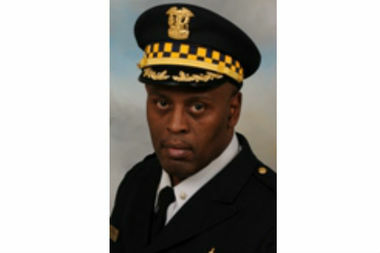 Police Supt. Garry McCarthy promoted Evans to commander of the Grand Crossing District shortly after the NATO summit. McCarthy had to defend Evans' move to the Harrison District to Grand Crossing residents in March 2014. He then called Evans "my best guy" and explained he had to move him to the busiest district for homicides. In the NATO incident, Lott was arrested and charged with reckless conduct, but his complaint states the charges were dropped when Evans and the other arresting officer failed to show up in court. Lott subsequently sued them and the city for excessive force, unlawful detention, illegal search and seizure, false imprisonment and assault and battery. According to court documents, the suit was dismissed Nov. 19 after the two sides agreed to the settlement. "We're satisfied with the settlement, absolutely," Robison said. "I think what was important to Joshua was that there be some recognition that you can't treat journalists this way." According to WBEZ-FM, which broke the Lott settlement story, the city has now paid $325,000 in settlements related to charges against Evans. The City Council has approved millions in police settlements this year, most prominent among the cases the $5 million awarded to the family of Laquan McDonald for his shooting death in October 2014 at the hands of officer Jason Van Dyke. That case has sparked protests and outrage over an associated police dashcam video released last week appearing to show Van Dyke shooting McDonald 16 times. 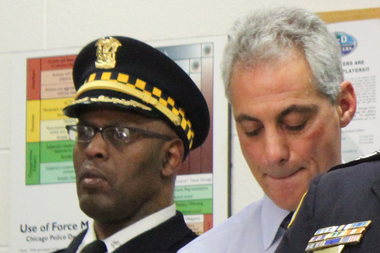 According to the Better Government Association, Chicago has paid more than $500 million in police settlements since 2004, $183 million under the Emanuel administration. Estimates from earlier this year were that the city had paid $64 million in torture settlements to victims of notorious police Cmdr. Jon Burge.